The latest GTX 1070Ti is available in New Zealand now, and this version from Gigabyte is looking GOOD! 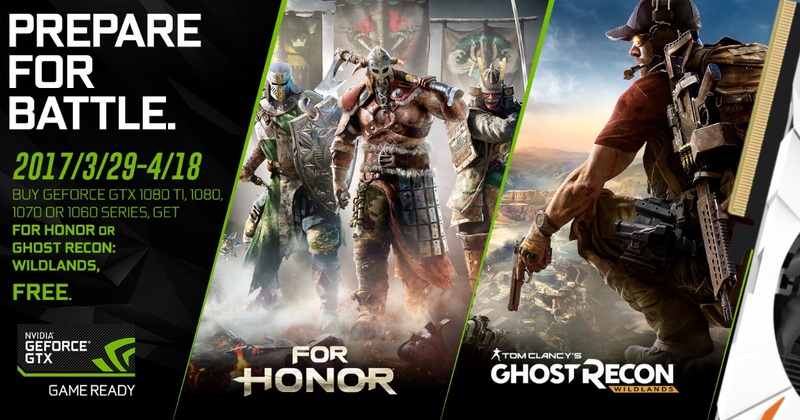 An enthusiast-class graphics card that combines the power of the NVIDIA GeForce GTX 1070 Ti GPU with the renowned Gigabyte WINDFORCE 3X cooling, RGB illumination, and top-notch reliability. Paired with 8GB of 256-bit GDDR5 memory, the card is ideal for gaming fanatics looking for serious graphics power to tackle today’s most challenging, graphics-intensive games and VR without breaking a sweat. WINDFORCE 3X, a triple-fan cooling system from Gigabyte incorporates two composite copper heat-pipes which directly touch to the GPU core. It further utilises a large metal base plate and thermal pads across critical heat-generating components for a total cooling solution. Together with the special fin architecture and the unique blade fans, this graphics card has delivered exceptional cooling performance while maintaining low noise, furthermore, the semi-passive cooling fans allow gamers to enjoy light gaming in complete silence. 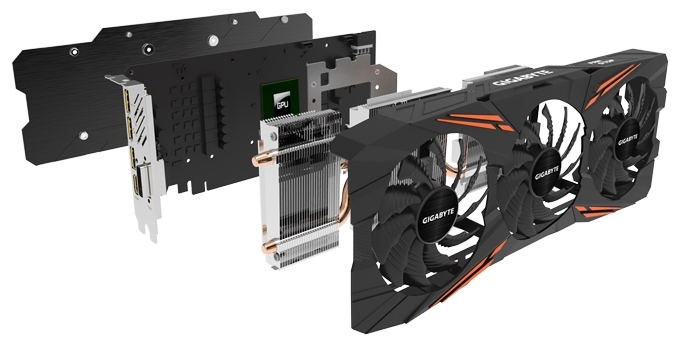 Aesthetics-wise, the angular shroud design with orange accents is distinctively Gigabyte and sparks a gaming vibe, this cooler version was first released back in 2016, and it has been featured on higher tier cards like the GTX 1080 with great results, at GGPC this is one of our favourite coolers and thusly featured in many of our custom PC builds. The GTX 1070 Ti Gaming is beefed up with 6+2 power phases to provide better stability with a more efficient power distribution. 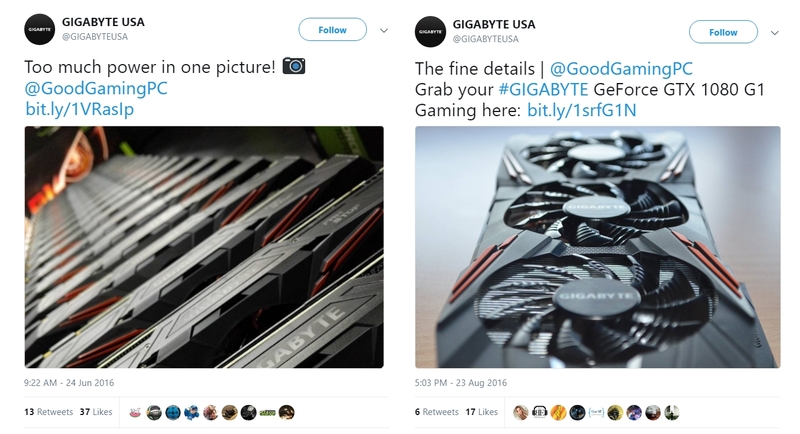 The use of the highest-grade chokes and capacitors reinforces the already legendary reliability of Gigabytes graphics cards and with the newly updated AORUS Graphics Engine, users can adjust and monitor clock speeds, voltage, fan performance, and more through the intuitive interface to get the best from their gaming hardware – it’s even got an instant performance boost with the one-click overclock function! We’ve already got our lucky hands on some for testing 😛 Keep your eyes on the GGPC PC Gaming Blog for the latest! Starting off with the packaging it’s pretty standard stuff coming in a nice brown box with handles which, once opened, reveals a foam packed chassis inside, you can faintly see the transparency of the dark mirror front panel within the protective bag. Removing the outer protective packaging we can see that the two dark mirror areas have a secondary protective layer on them also, with the window panel the screw holes are also fitted with rubber protectors and there is a subtle pattern along the edges. We had a bit of a funny moment during our first build when we were re-attaching this panel (upside down it turned out) and it we couldn’t quite align it – so yep turn it around if that happens to you, just letting y’all know! 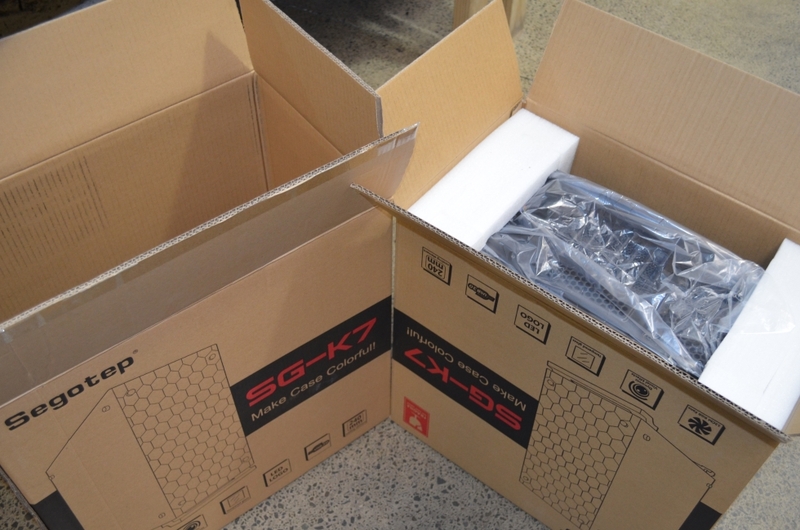 Inside we find a handy little instruction booklet, warranty card and an assortment of essential screws and handy zip ties full cable management, the little brown box inside however has something really very cool – two optional colour plates for the front panel are included with the chassis! Swapping out the coloured trims is an easy process with screws and clips holding everything in place but the best bit is Cooler Master didn’t stop there, those fine folks know the community has awesome ideas of their own so with that in mind, they’ve made 3D printing schematics for both the top and bottom trim available right away and you can download the files for 3D Printing your own MasterBox Lite 5 parts here \o/ Fun times ahead! Looking at the main body now we find an included 120mm fan pre-mounted on the rear exhaust which sports a nice all-black 3-pin cable to keep things looking good. Along the top we don’t have any mounting holes for fans but the front is savvy for mounting an additional 3x 120mm intakes or a massive radiator for a killer water cooled system. Everything has a clean black coating, even the dual USB ports are dark grey instead of the usual blue and they’ve made things great for system builder by adding the common little details like the good tool-less drive trays (the ones with the sliders) and also the not-so-common ones like the power supply bracket which is just wonderful to see. Build wise we’ve dived right in and created a nice red/black themed Ryzen 5 + GTX 1060 system to test it all out for ourselves, with the PSU shield now extending all the way to the front and the brilliant worked done by CM design with those additional cable management slots along the right of the motherboard we were able to make a nice and tidy Gaming PC in this chassis extremely quickly, it’s a absolute pleasure to build with! We can’t wait to do more builds (as I write this we’ve already done some quick GTX 1050Ti, GTX 1060 and GTX 1070 builds with a range of different Ryzen) and we even setup the cameras during our first build so we’ll be adding a quick timelapse to this blog soon enough but anyways – onto the best bit – Cooler Master have created an exceptionally good chassis here, not only does it look amazing and sport those neat little trim mods that are super easy to tweak but everything is just right on the inside and on that note we happily give this case our GGPC Recommends Award – The MasterBox Lite 5 is GOOD! 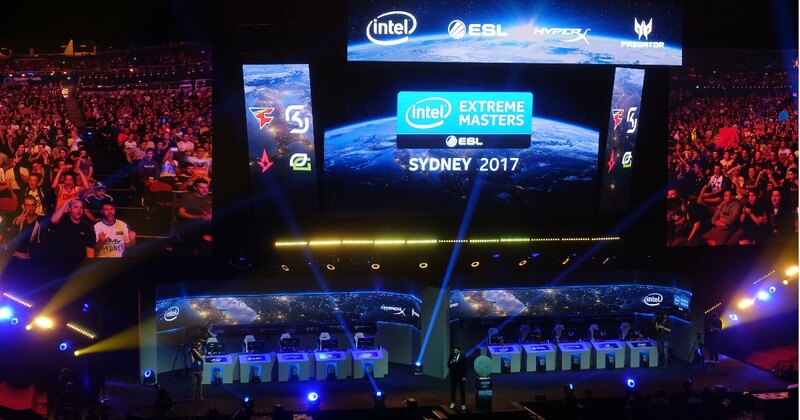 Sydney just hosted a massive gaming event, an Intel Extreme Masters CSGO tournament and it was GOOD! This tournament goes hand in hand with another cool promotion on now in NZ, IEM Certified Gaming PC \o/ Grabbing a system that’s certified in this way gets you a really sweet golden sticker for your new PC, that holographic certificate guarantees quality that meets only the highest standards from Intel and it also signals a FREE GAMES BONUS! The setup for the event was absolutely first class, from the moment you walked through the doors intel had a range of latest gaming laptops and IEM custom desktops ready to go with games to play and you could even join in on mini competitions in everything from a quick round of 3v3 CSGO to VR Racing time attacks. The quality of the interactive experiences on offer were what made this opening experience so enjoyable though, it wasn’t just a nice seat for the racing games, intel had flown over VESARO force feedback equipment to give players genuine motion, these racing kits actually move with you and give you a real feeling of acceleration as you push yourself to take poll position and take away some of the prizes which flowed throughout the event. Once we had made our way through the first gaming zone (pretty tough to do as they had an early access VR spellcasting fighting game right before the stairs to the arena) we got to check out the main event stage which lived up to the hype \o/ Some pretty epic lighting and smoke machines ensured the announcements for each match were exciting and the triple massive screens above would make following the gameplay easy. Behind this main stage a backstage team monitored everything, and further behind this there was another studio setup reminiscent of the Full Circle studio here in NZ – it would be from here that the casters did there sportscenter like commentary of each match. The commentators were brilliant and whoever was responsible for switching the player camera to show the best moments of each round was amazing, they deserve a medal and speaking of! Between the two teams 5v5 gaming setups was a MASSIVE round medal, the trophy for the competition. 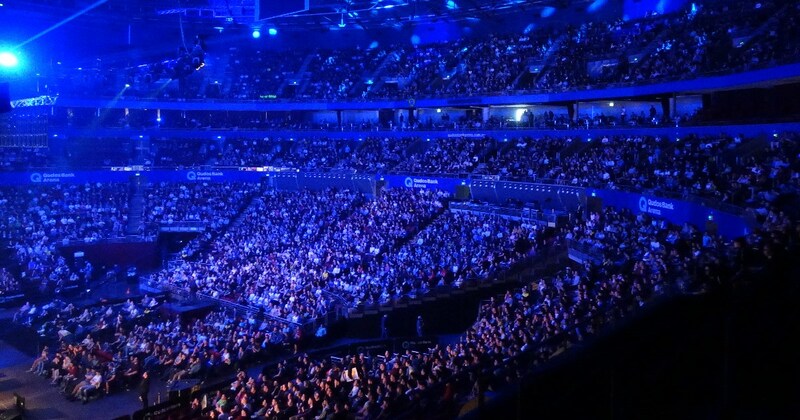 The arena filled up fast and the weekends gaming begun with a roar! Massive applause welcomed each team as they approached the main stage, fun times ahead! The local area in which the event was held was originally built to host the Olympics and handled the crowd with ease, special mention here to just how nice everyone was, both staff and attendees 🙂 two instances, in particular, stood out though, the first was meeting a chap that had lost his phone so we let him use ours to call it and a someone nice had handed it to the staff already. The second was the aftermath of the event, or lack of, we hung around for a bit after the finals chatting to some of the intel team and when we eventually left the outside wasn’t trashed, a little rubbish here are there but honestly pretty good with that amount of people! We had a blast and can’t wait for the next big event, full credit to the teams from ESL and Intel for putting this one together so flawlessly – hope to see you at the next one! 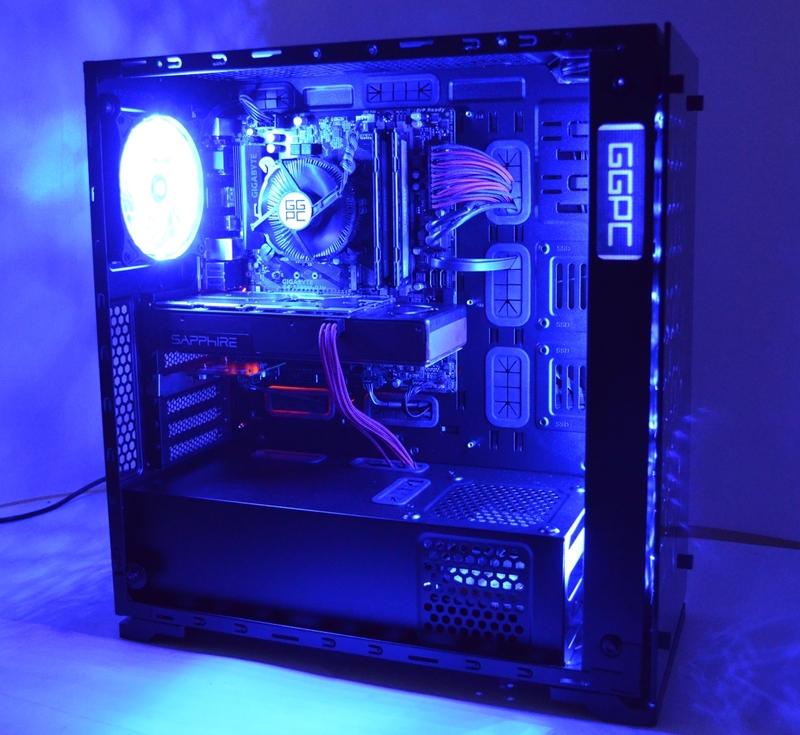 Good Custom PC – Design and WIN with Cooler Master and Nvidia! You can download the Nvidia Chassis design kit and manual here, when you’re all ready to go submit your GeForce Cooler Master Case Design here 🙂 More details on the secondary prizes (Yes, there are more!) 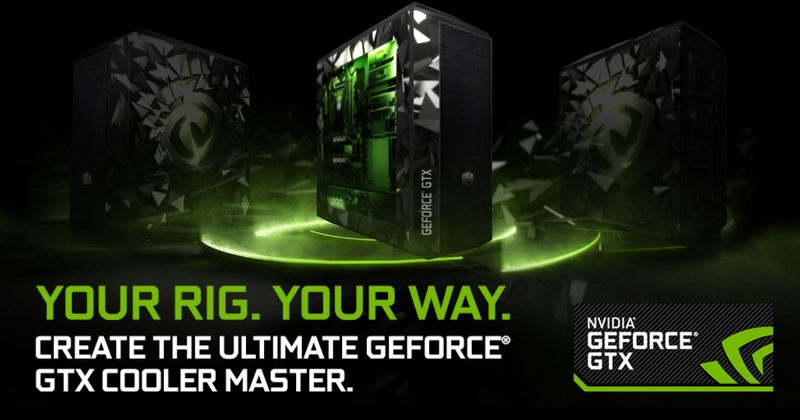 can be found on the Nvidia Design Website as well. 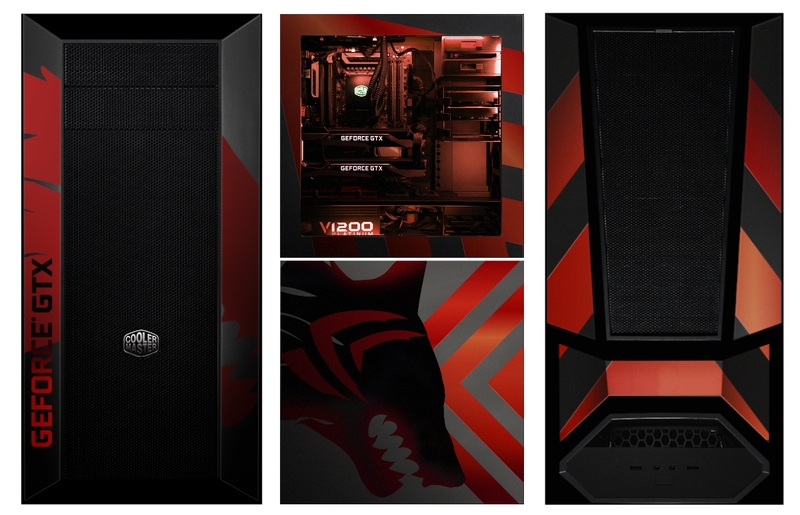 Be sure to submit your design in before the 31st May deadline, from there the finalists (six spots available total) will be chosen by Nvidia and Cooler Master and then it goes onto public voting around the 9th of June with the winners are set to be announced for this one around June 26th, 2017. These are some pretty amazing prizes they’ve put up for grabs so get designing! 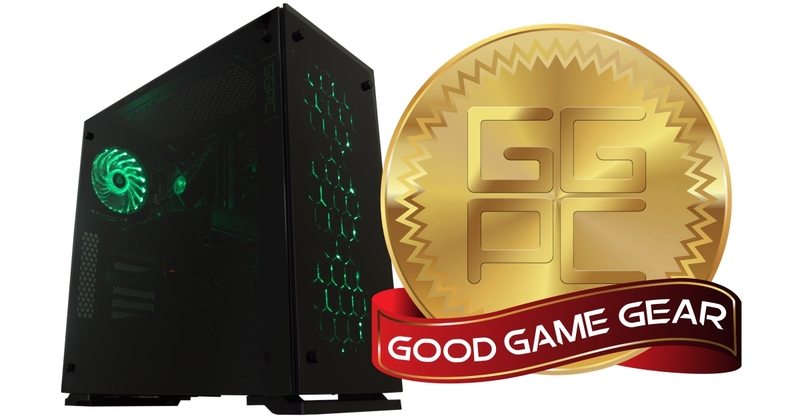 Such a great competition from Nvidia and a great case from Cooler Master! 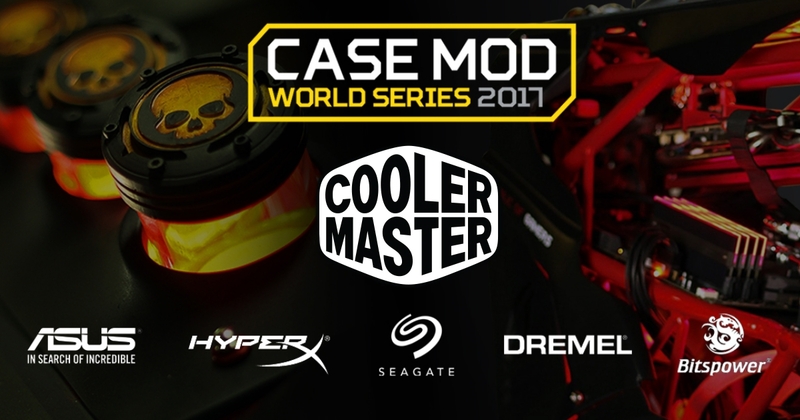 Case Mod World Series 2017 ANZ Edition has been Announced! 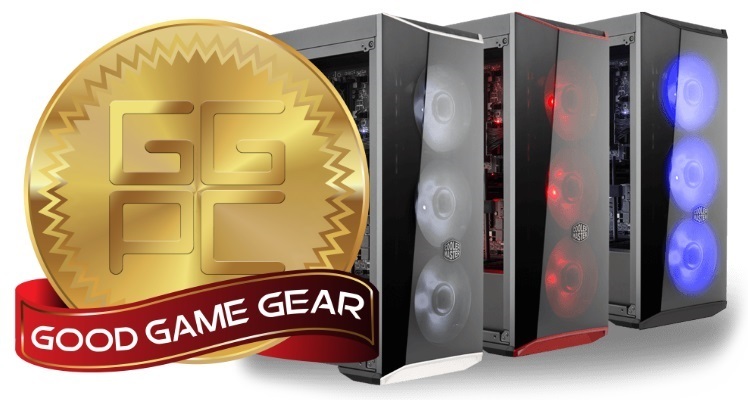 Earlier in February, Cooler Master announced the Case Mod World Series 2017. 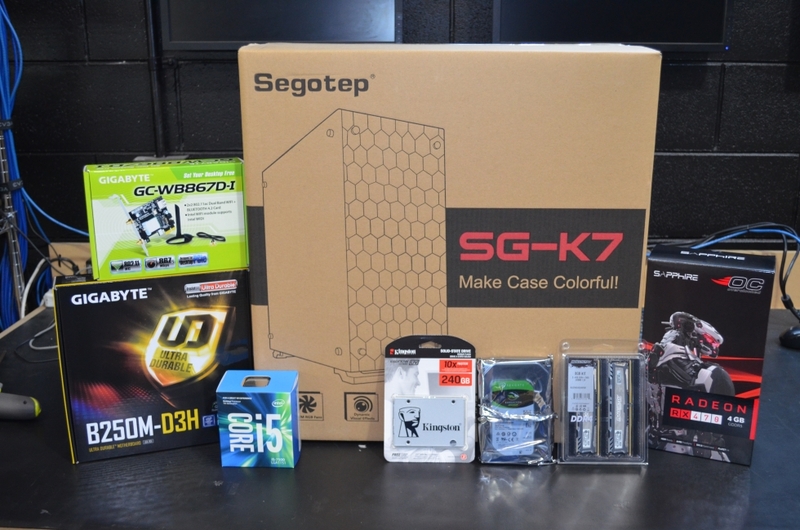 This global case modding competition invites anyone from first-time tinkerers to seasoned veterans to make and submit their creations from Feb 3rd to May 3rd. Today Cooler Master announced the Case Mod World Series 2017 ‘ANZ Edition’. All Case Mod World Series 2017 entries from Australia and New Zealand will be automatically entered in to the ‘ANZ Edition’ competition. You can check out the awesome prizes up for grabs here. “We are having again, this year, an ANZ Edition to recognize and promote modders within our community. Three Winners from the ANZ region will be selected after the Case Mod World Series 2017 concludes. 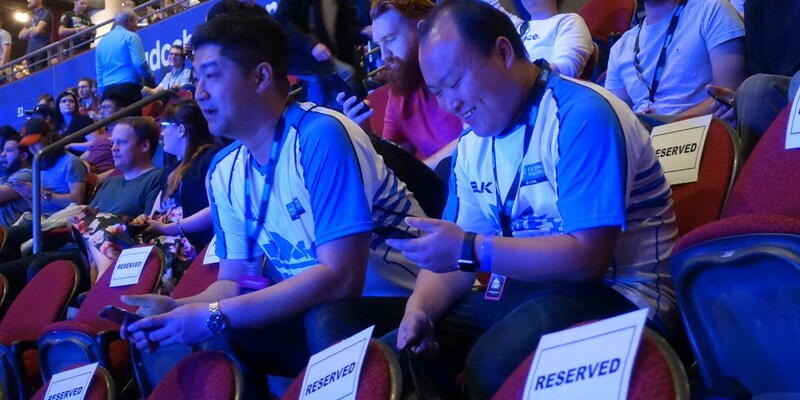 We hope to ignite the maker spirit right in our own backyard,” said Vance Chang, Cooler Master Marketing Manager, ANZ. First step is to register, you can sign up for the Cooler Master CASEMOD 2017 here. Once that’s done you’ll want to create a build log entry, this is split into two parts depending on if you want to enter a scatch build or a tower mod. A scratch build is basically a computer where you don’t use a chassis as the base for the build, it can include parts of a case though in most instances these aren’t really recogniseable 🙂 A tower mod is when you build a PC but alter the appearance of the case into something unique. 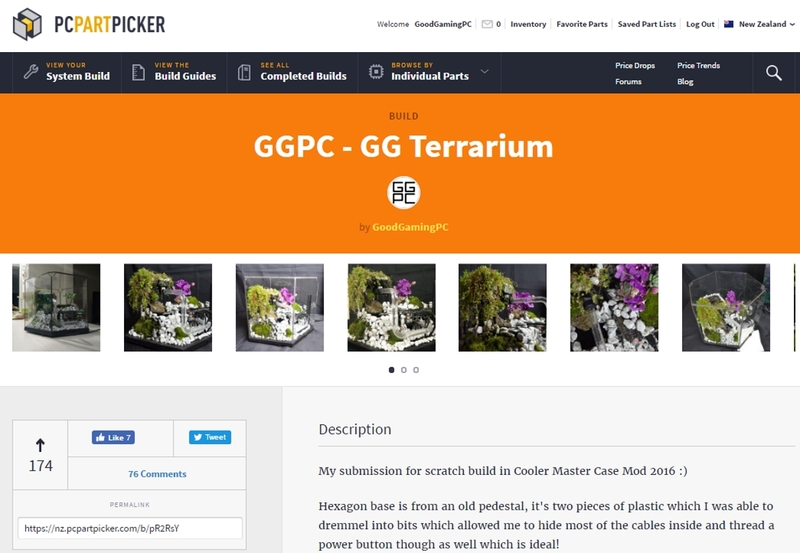 Last year we built a PC that was a desktop garden inside a terrarium with an open waterfall for the watercooling on the CPU and had a such a good time, you can check out the GG Terrarium build on PC Part Picker for more information on that one – keep an eye on our GGPC Instagram to follow our latest build along, we’ll also update with a PC Part Picker for GG Tsunado once it’s complete. 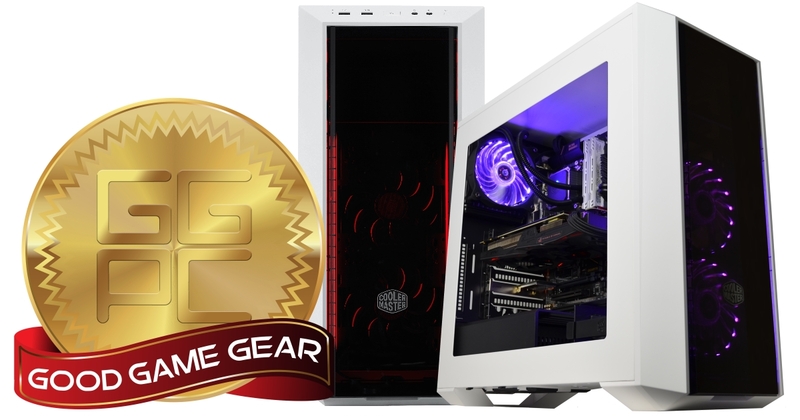 Starting things off, this isn’t the first in the MasterBox 5 series and there are also options if you wanted to grab this one in black, or with mesh instead of tinting on the front – that’s really what Cooler Master has been all about lately as well, options! This chassis provides a really good base to start just about any kind of build in, an included power supply shield will help keep things super tidy inside. There are mounting holes all over the place which allow for multiple positions when fitting storage devices, the movable hot swap HDD caddy has a clip hinge with the CM logo on each drive bay as well. This case is ready for various sizes of motherboard, from the tiny ITX though to large ATX like we’ve used below in our little AMD test system. Even though the chassis is inexpensive compared to others of similar looks and quality (it’s under $150 NZD at the time of writing this) it’s so tidy looking you really can put in the highest end components and things won’t be off balance. There is space for X99 motherboards and dual graphics card builds, you can rear mount your radiator or even front mount a 240mm liquid cooling kit in a push/pull configuration and it even fits the absolutely massive air cooling units like the MasterAir Maker 8 – crazy cool! We’re looking forward to doing more Custom Gaming PC builds with this chassis, with such flexible mounting options and killer looks it’s hard not to love this case (or the others in the series) but among the current range this white dark mirror version is certainly a favourite of ours 🙂 On that note we happily give this fine Cooler Master chassis our GGPC recommends award – the MasterBox 5 Dark Mirror Case is GOOD! The day has finally come, Claudiu (a programmer from Romania) has released the pre-alpha build of a PC Building Simulator, you can check out everything and download the PC Building Simulator here. Although it’s still got very limited component choices the game itself is looking pretty good, discussions with companies around the use of their official parts in the game are ongoing and hopefully everyone jumps onboard to help out with models for all the excellent computer components available today. 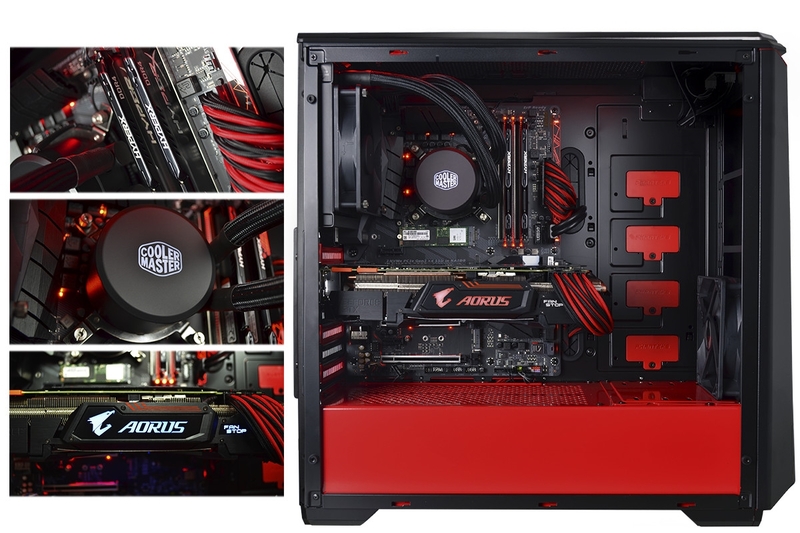 Having something like this to design gaming PC with would be really excellent for system builders of all skill levels! We’d love to add a visual toolset like this to our own Custom Gaming PC here at GGPC New Zealand, and we’ll keep following this one along as it progresses.